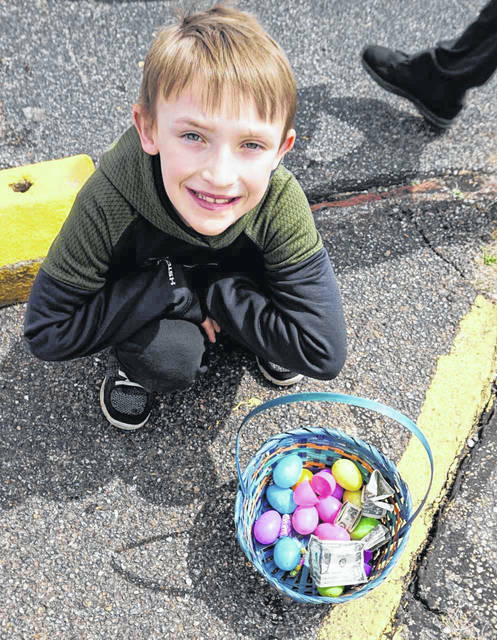 This young man is excited about what he’s found at the Point Pleasant Easter egg hunt on Saturday at Tu-Endie-Wei State Park. 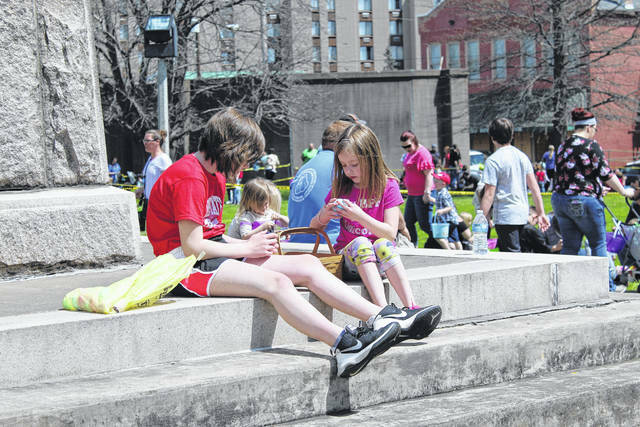 The hunt was organized and sponsored by the Point Pleasant Presbyterian Church. 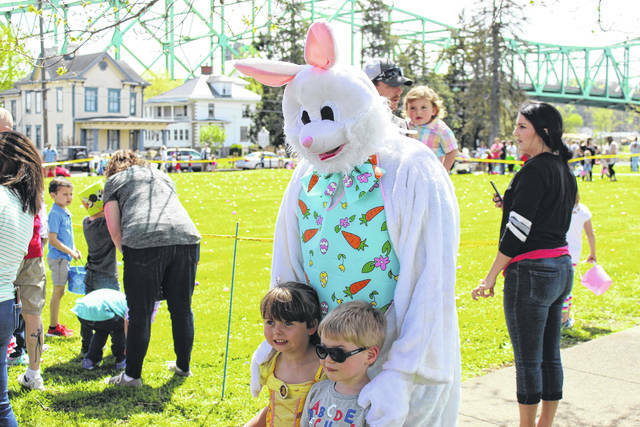 The Easter Bunny was a popular guest at Saturday’s Easter egg hunt sponsored by the Point Pleasant Presbyterian Church. 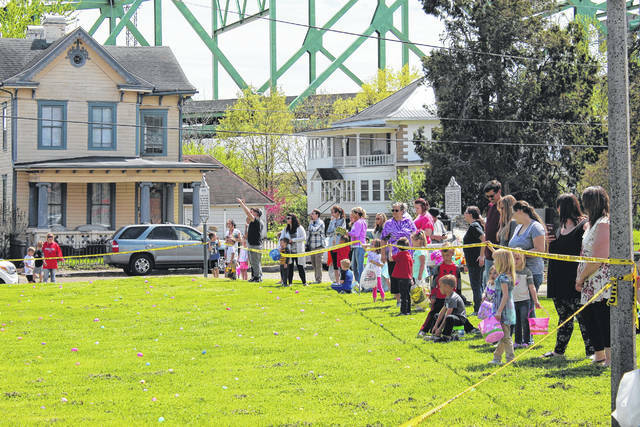 Thousands of eggs were hidden at Saturday’s Easter egg hunt in Point Pleasant, each containing a prize. 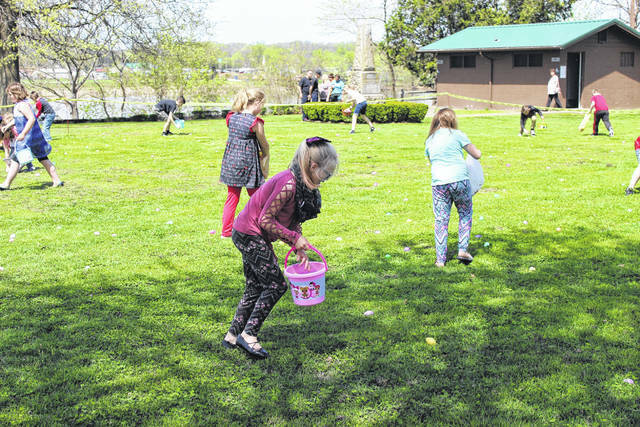 The Point Pleasant Easter egg hunt had a variety of age groups hunting, each searching for that special egg containing a note good for a grand prize Easter basket. 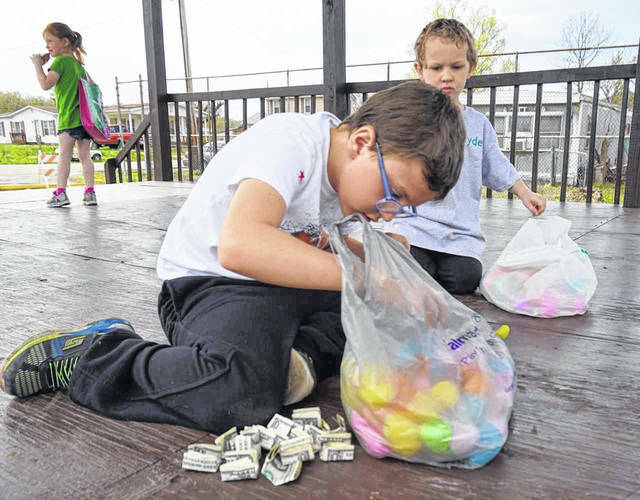 A youngster at the Mason Easter Egg Hunt is shown as he “digs for dollars” in his bag of goodies. 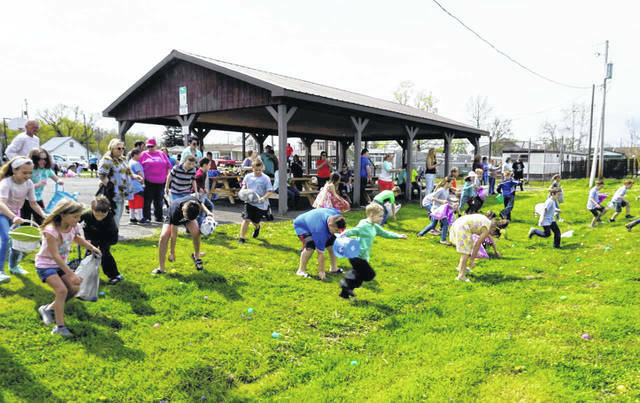 With donations from Benchmark Construction, Mid-Atlantic Construction and Ohio Valley Bank, the town was able to place 1,000 one-dollar bills among the 4,000 hidden eggs. 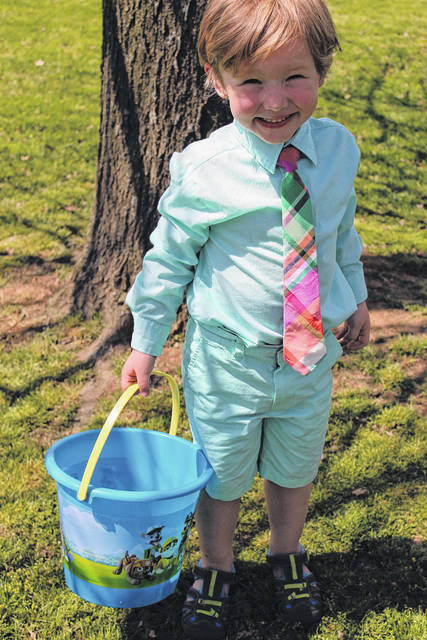 Aiden Edwards is pictured as he shows off his spoils at the Mason Easter Egg Hunt, held Saturday afternoon at the Stewart-Johnson V.F.W./Lottie Jenks Memorial Park. And they’re off! 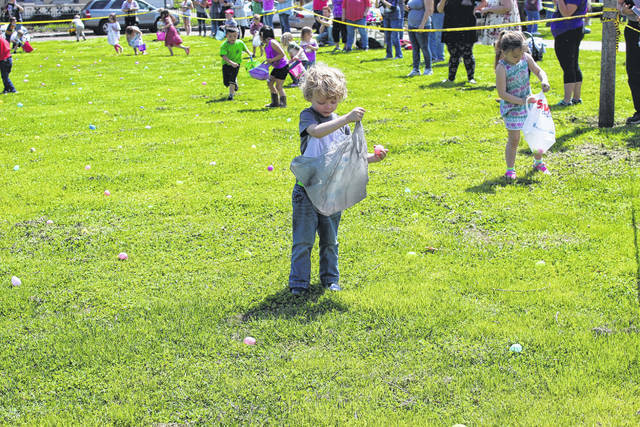 Children in the seven- to nine-year age group at the Mason Easter Egg Hunt are shown as they begin their quest for the colored plastic eggs. 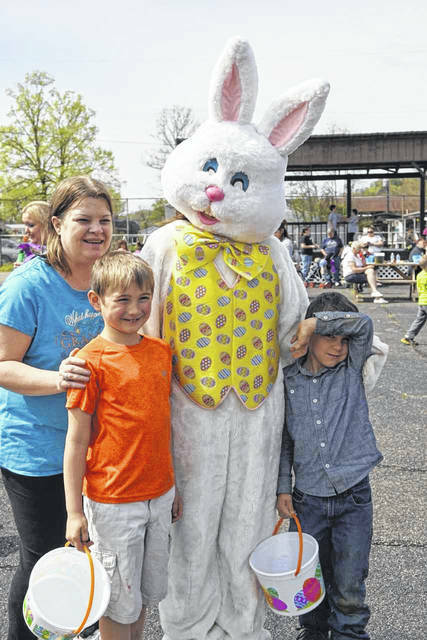 Photos with the Easter Bunny are always popular at area Easter egg hunts. Pictured here is a family getting their picture taken at Mason. 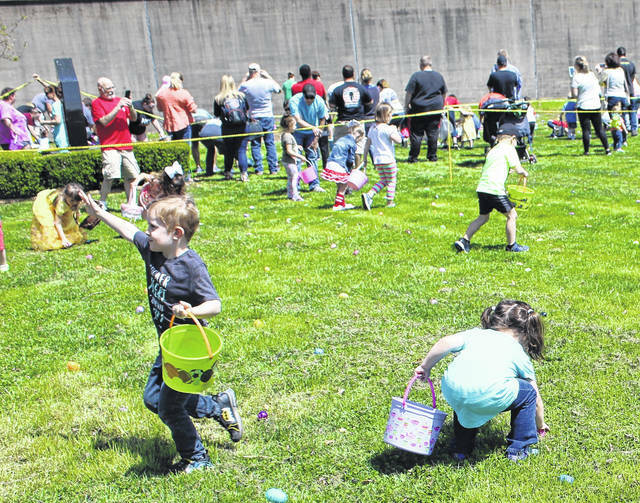 Maranatha Cornerstone Church treated those attending the Mason Easter Egg Hunt to a lunch of hotdogs, chips and drinks. 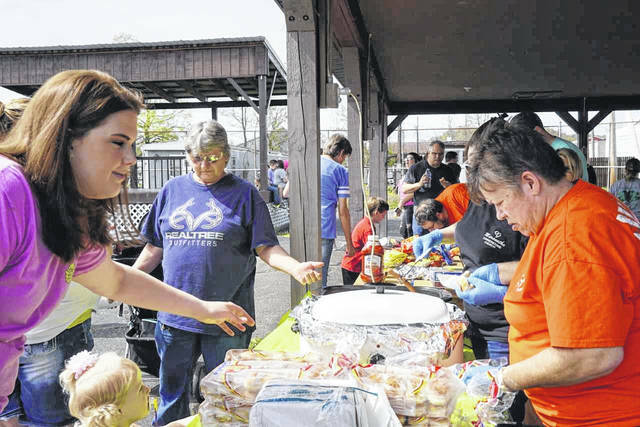 The church members prepared nearly 350 hotdogs for the event as an outreach project.